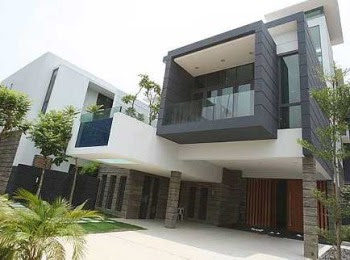 A link bungalow at Vasana 25 in Seputeh Heights. BERJAYA Land Bhd (BLand) is seeing a return of buying interest for its high-end residences and is lining up a number of projects in the Klang Valley for launch in the coming months. The company’s upcoming launches include the luxury high-end Vasana 25 bungalows and link bungalows at Seputeh Heights in Kuala Lumpur. The project is targeted for launch by December. It also has some freehold bungalow land at The Peak @ Taman TAR as well as Savanna 2 and Covillea condominiums, both in Bukit Jalil. Savanna 2 @ Bukit Jalil comprises a block of 4-storey walk-up of 32 condo villas on 1.2 acres with gross development value (GDV) of RM22mil, while Covillea will comprise of two 20-storey blocks of 308 residences with a total GDV of RM150mil. The projects are targeted for launch by early next year. Senior general manager for properties and marketing, Mah Siew Wan, says the developments are set to meet the needs of a niche high-end market and based on the enquiries received, the company is confident of receiving good take-up for them. Mah says BLand’s latest high-end bungalow project in Seputeh Heights – Vasana 25 @ Seputeh Heights are targeted at the home up-graders. Sited on a freehold 4.93-acre land, the project comprises 22 villas and three bungalows. With land area of between 5,000 and 7,000 sq ft and built-up of 5,743 to 7,665 sq ft, the houses are priced from RM5.5mil to RM8mil. They will have a private glass lift and pool each. Vasana 25 with gross development value of RM150mil will be ready by October next year. 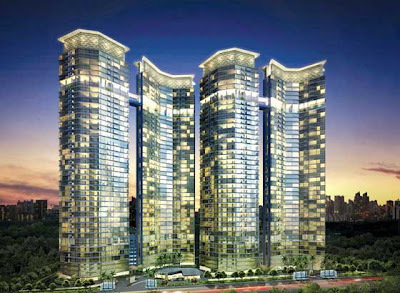 Even before the official launch, 36% of the project have been sold for a total sales value of RM56.5mil. Every residence in the gated and guarded project has excellent view of Kuala Lumpur city while its glass features allow a lot of natural lighting. According to Mah, BLand started Seputeh Heights in 1997, offering 103 bungalow lots of between 7,992 and 23,100 sq ft.
Over the past 12 years, 92 bungalow lots have been sold at an average price of RM200 per sq ft. The balance 11 bungalow parcels are now available at RM400 psf. Seputeh Heights also has four purpose-built bungalows, which were constructed by Berjaya Land and sold for more than RM5mil to RM8.5mil each. Other BLand projects in the pipeline include a mixed development called 1Petaling Residences, Commerz @ Sg. Besi and the final phase of landed homes in the Berjaya Park township in Shah Alam. As for commercial projects, they include 114 units of 3 storey shop office with a GDV of RM85.5mil in Berjaya Park, and a 4 storey retail lot development of about 300,000 sq ft in Bukit Jalil. Locally, BLand still has about 1,000 acres land bank, with potential GDV of RM8bil. Most of the projects are in Ampang, Bukit Jalil, Shah Alam and Seputeh Heights. It has ongoing projects worth a GDV of RM802mil comprising Savanna 2 in Bukit Jalil, Berjaya Park in Shah Alam, Taman TAR in Ampang and Kuantan Perdana in Pahang. Mah says BLand is also looking at tapping into the foreign market with the impending launch of its maiden offshore project in Vietnam. “We will kick off our first launch of residential components in Bien Hoa mixed development, located in the bustling metropolis of Bien Hoa, Dong Nai Province in Ho Chi Minh City, sometime in October. BLand is also looking at launching its resort type residential and commercial project on 183 acres in Jeju, South Korea, in June next year. Mah says although most of the company’s earnings are still from its local projects, offshore projects also have the potential to become a bigger contributor in the coming years. “With all the new developments coming up, we hope to double our sales from RM105.6mil recorded in the last financial year ended April 30,” Mah says. For the fourth quarter ended April 30 of BLand’s 2008 financial year results, the company posted a net loss of RM53.98mil against a net profit of RM631.7mil in the same quarter of the preceding year due mainly to lower revenue contribution from its gaming, hotel, resorts and property development divisions. KUALA LUMPUR: Property developer SP Setia Bhd has year-to-date posted RM1.25bil property sales, which has surpassed its financial year ending Oct 31 (FY09) target of RM1.1bil. Analysts said the impressive property sales achieved was due to its attractive 5/95 financing campaign, which began on Jan 31. An analyst with ECMLibra said after hitting its annual sales target, SP Setia terminated the campaign in July. “As at Jan 31, sales were at RM102mil. The campaign boosted sales to RM1.25bil at end-July,” he said in a report yesterday. However, the brokerage expects sales momentum to remain firm until end-FY09 due to conversion of sales bookings. The analyst said SP Setia’s nine-month ended July 31 results came in within house but was below market expectations, as annualised net profit came in just 1.6% below its estimates, and 11.7% below consensus estimates. “We upgrade our target price to RM3.36 (from RM2.65) based on price-earnings ratio (P/E) valuation of 19 times after taking into account elevated optimism on the property sector as well as strong sales momentum,” he said. SP Setia is currently trading at a forward P/E of 26 times, which has exceeded peak valuation seen during past property cycles. “This is not justified even after taking into account commendable sales achieved,” the analyst noted. Moreover, he said, the stock was trading at a steep 37% premium to its realisable net asset value estimate of RM3.35. The brokerage has maintained a “sell” call on SP Setia. An analyst with OSK Investment Research also has a “sell” call on SP Setia as the stock was trading at a significant premium even to calendar year 2010 fair value. “Its valuation is lofty in view of the current phase of the property cycle,” he said in a report, adding that the brokerage was less optimistic that SP Setia could repeat its feat (of higher property sales) for the rest of the year. He said a correction in property stock prices appeared inevitable in the short term as investors, who had bought the story of a robust V-shaped recovery for the property cycle in 2010, were likely to be disappointed soon. However, the brokerage has upgraded SP Setia’s target price to RM3.47 from RM2.10, based on calendar year 2010 valuations. Global warming caused by a severe degradation of the environment is certainly taking a heavy toll on our planet these days resulting in rising temperature, heat waves and wild peat fires in various parts of the world today. I remember that not too long ago when it was not a problem at all walking from place to place around the city but these days, unless you’ve prepared an umbrella or some other forms of shade and have judiciously applied protection cream against the harsh ultra violet rays, it is quite easy to be stricken with sun burns if you’re out walking around “unprotected” in the sun. So it is understandable that more people are opting to drive around instead of walking, which explains why there are more cars on the roads these days. People are also turning more to their air conditioners to cool themselves. The increasing reliance on air conditioning and cars will further aggravate the global warming situation as more carbon dioxide is released into the atmosphere. To help arrest the deteriorating situation, we should all start heeding the calls to “go green” and take up the green cause to do our part for the environment. It will help if we start off by listing down what are some of the simple tasks that we can do to reduce energy usage and lower our carbon footprint. Once we become accustomed to these simple measures, we can then gradually adopt more elaborate “green” initiatives. From simple acts such as planting of more trees, cutting down on electricity and water consumption to rain harvesting, recycling and composting, every initiative will go a long way towards preserving the environment. Hopefully, in the not too distant future, we can do away with fossil fuel and can turn to more easily renewable energy sources that are either water based, solar or wind powered to operate our vehicles and home appliances. Every economic sector and citizen has a role to play to help alleviate the environment deterioration and bring down the global temperature. To reduce the number of vehicles on our roads today, the paramount thing to do is to upgrade, connect and integrate the various modes of public transport in our cities including the light rail transit lines, public buses, monorail system and commuter train. When travelling around different parts of our cities involves merely hopping from one mode of transport to the next, more people will choose public transport and leave their cars at home. In the manufacturing sector, green manufacturing hubs to produce goods and services in an environmentally responsible and sustainable way should be encouraged. Besides promoting eco-tourism packages, tourism industry players can also look into collaborating with their counterparts in the airlines and other transportation to opt for green fuel and other initiatives. The property fraternity has much to contribute to promote a more sustainable environment. Industry players should not just make use of the green theme as a marketing tool to popularise and sell their products. Developers and building owners need to design and construct green, sustainable buildings that can conserve energy and water, provide a healthier indoor environment, better connectivity to public transport and the adoption of green programmes in their projects. Projects should be planned with all the actual “green” trappings and adopt building designs and materials that actually care for the environment. Eco-cities and eco-towns will soon become the rave word if cities and towns are planned to ensure that industries, commercial and residential areas are designed and built to allow them to co-exist harmoniously with the natural environment. The crusade to promote green buildings that are purposefully designed to cut down their dependence on energy and water consumption, including more natural lighting and cooling features, should be more widely adopted and become a part of the building industry’s corporate responsibility. Property owners, architects, town planners, developers and the relevant government authorities should work closely together to achieve the common goal of greening Malaysia’s landscape. More efforts should also be expended to turn our cities into garden cities by setting aside green lungs, planting of more trees, and turning most roof tops of multi-storey buildings into landscaped gardens. Instead of leaving them merely as tiled roof tops or unoccupied concrete structures, roof tops of buildings should be turned into green oasis with landscaped gardens. Giving a simple makeover to these roof tops by planting them with leafy trees and plants will reduce the heat-island effect that causes heat to be reflected back into the environment. Plants have very therapeutic effect on us. The oxygen that they release will certainly promote a more oxygenated and cool environment, and reduce the heavy pollution in the air. Deputy news editor Angie Ng hopes Malaysians will rally together and take more affirmative actions that will hopefully “cool down” our overheated planet. Traditionally, the Malaysian real estate market has been locally driven; only 2.5% of total value of properties transacted in 2008 was attributable to foreign investors, a far cry from Singapore’s 30% and Dubai’s 40%. We expect the situation to remain so in many more years as the bulk of the country’s population is below 35 years, which means the young will continue to feed demand for local real estate market (especially in the residential category). The Government has been prudent in opening the country’s door to foreign investors through policies to safeguard the interest of locals, especially those who have yet to fulfil their fundamental need of property ownership. One of the measures includes having a minimum price threshold for properties that foreigners can invest in. Our real estate market is an “open” one where supply is largely driven by demand. Beyond the quantum of property units in the market, supply will only be effectively taken up if there is a match between prices the market is willing to pay and that of the vendors. Like other economies, Malaysia cannot avoid some degree of speculation especially when the market views the situation as a healthy sign of investment worthiness. The so-called “speculators” are still predominantly Malaysians who view property as good and safe investment tools. Our research shows that foreigners prefer to invest in completed properties. Such penchant will continue to benefit Malaysians who, by far, form the majority of investors in the primary market. This will open up doors for better wealth creation opportunities for Malaysians. An average foreign resident spends about RM10,000 monthly on retailing, F&B, education, healthcare and others – a direct injection into the local real economy. An expatriate will also have family and friends visiting, hence the spend attributes to further drive the economy. In marketing terms, they are our ambassadors in their home countries, spreading the experience of Malaysia to family and friends. As explained fully in my earlier comment, allowing foreign purchase of residential properties, even if it is at the high end, will still push prices of ALL properties up as Malaysians move down to purchase lower-priced properties as the high-end ones become more expensive. Many countries stop foreigners from purchasing residential properties because they do not want prices to move up and make it more difficult for locals to buy properties. There is a pressing need to control foreign purchases of all residential properties to protect the quality of life of Malaysians. When property prices rise, whether it is the secondary or the primary market, everyone has to pay higher prices. “One wonders whether foreigners should be allowed to purchase even high-end residential properties. Such moves often price quality properties out of the affordable range of locals. “Worse, some developers of local properties, especially with foreign links, actually offer the best space to foreigners first, with these not being made available to locals, even if they could pay asking prices!